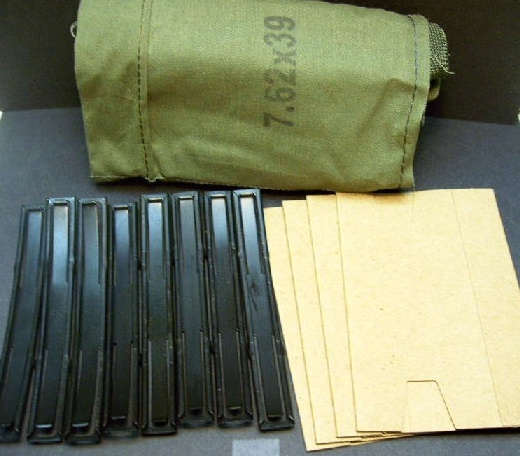 1, ammunition bandoleer kit made for the Mini-14 rifle. These are brand new. They come with everything you see in the picture (1 O.D. 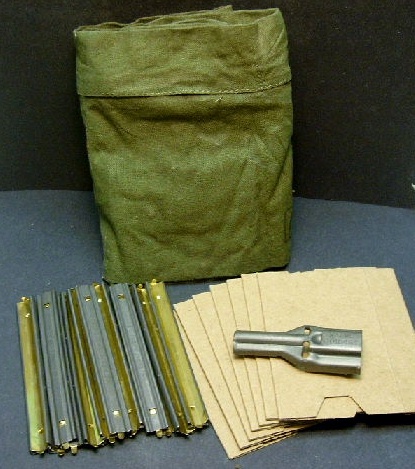 cloth bandoleer - 4 pocket, 12 stripper clips, 1 stripper clip guide (for Mini-14 magazines) and 4 cardboards). Packaged in a sealed plastic bag. Note: These new style bandoleers have a tan thread running through them. 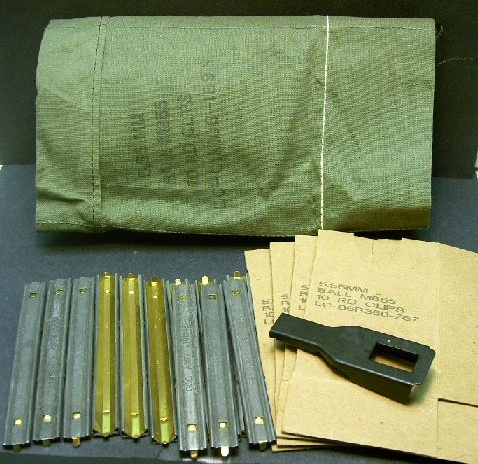 Once removed the bandoleer converts to hold 4, Mini-14, 30rd. magazines.